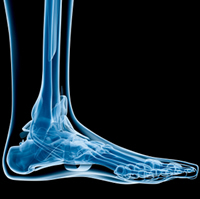 Did you know the foot has 28 bones, 37 joints, 107 ligaments, 19 muscles, and numerous tendons? These parts all work together to allow the foot to move in a variety of ways while balancing your weight and propelling you forward or backward on even or uneven surfaces. It is no wonder that most Americans will experience a foot problem that will require the care of a specialist at one point or another in their lifetime. Click on the categories below to read articles on foot disorders and conditions. You may also use the search button below. Copyright © 2017 Lakeside Foot & Ankle Center. All rights reserved.